Hi, fans :) how have u been. I feel I just start getting recovering from my vacation. Today I would like to share with u. 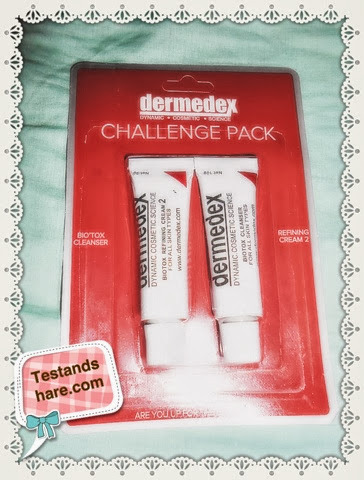 My review about new challenging pack of dermedex . Using active ingredients , biotox cleanser helps to unclog pores while moisturizing your skin. This deep cleansing blend is a necessity to any skin care regime and regular use will help achieve a brighter and clearer complexion. It can dramatically reduce the visible signs of aging while restoring the supple, glowing properties of a healthy skin. Use mornings, evenings and after strenuous exercise. 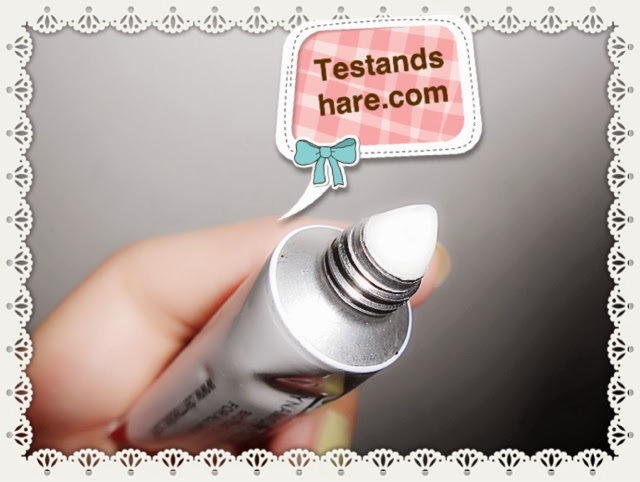 Apply a small amount to wet skin and work into light milky foam using circular motion,concentrating on T zone. For better result, leaving on skin for 15-30min. Or take it as overnight mask. Water,parsley extract,heather extract,bear berry extract, triethanolamine,glycerin, acrylates, c-10-30 alkyl acrylate cross polymer, polysorbate 20, phenoxyethanol, fragrance. Since I have use old challenging pack before. So I naturally compare the texture btw old edition n the new improve formula. I found this cleanser will be suitable for -- oily skin ,rather than my combination dehydrates skin.because I found my skin is dry after few try. However,my first try my skin did feel smoother n clearer complexion. Therefore, I will recommended the usage for cleanser is twice or three time per week, overall it depends yr skin condition. Quick and effective for problem prone skin, such as those with pimples, big open pores and dull appearance. Regular use will encourage your skin's natural defenses to resist blackheads, reduce redness, and irritation while restoring your youthful radiant complexion. U may even see results in yr first application,when use together with biotox cleanser. Use mornings, evenings, and after strenuous exercise. Concentrate on the t-zone or problem areas. Water, caprylic/capric acid, avocado oil, mineral oil, babussu oil, cetearyl octane ate & isopropyl myristate, tea- stearate, docosahexaenoic acid, elcosapentaeoic acid, algae extract, soluble collagen, lecithin and ginkgo biloba extract, potassium Cetyl phosphate, imidazolidinyl urea, carbomer, dis odium EDTA, citric acid, cysteine, beta carotene, menthol, Angelica, oryza sativa germ oil, saffron extract, fragrance. 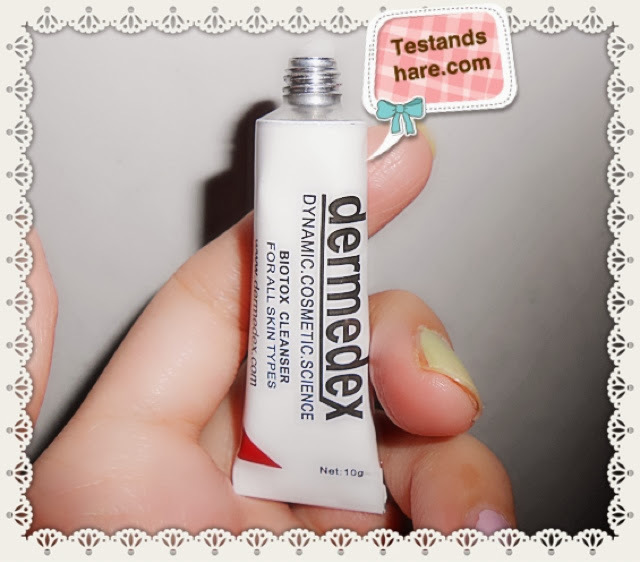 A cream with strong herbal scent, I only apply it on problematic pimple area. 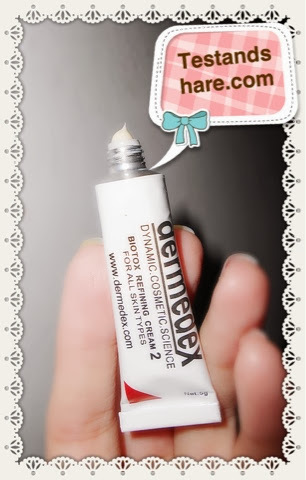 Cooling effect strong.and it does perform good as a medicated use pimple cream. 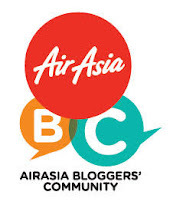 A blog about cutestuff, beauty,fashion ,product review ,Johor Bahru,K.L event and food ~! hi..may i know from where u bought this challenge pack?